Intensive Hand, Fingers and Thumb Rehabilitation with AMADEO at MOTIONrehab’s Intensive Neurological Rehabilitation Centre, Leeds. Rehabilitation of the Shoulder, Arm, Hand, Fingers and Thumb. The loss of hand and arm function can be one of the most debilitating symptoms following a stroke, spinal cord injury or head injury. Complete or partial paralysis of the upper limb can limit an individual’s ability to carry out everyday tasks making them reliant on others for day to day tasks. Following a spinal cord injury or for people living with other neurological conditions such as Multiple Sclerosis (MS) and Parkinson’s disease, maximising arm strength and movement is essential for independence in day to day activities. The ‘wiring’ from the brain to the hand and arm is designed to allow the highly skilled movements we perform every day. Traditionally the are and hand have been seen as a challenge for physiotherapists and often either neglected recovery and rehabilitation is often slow. 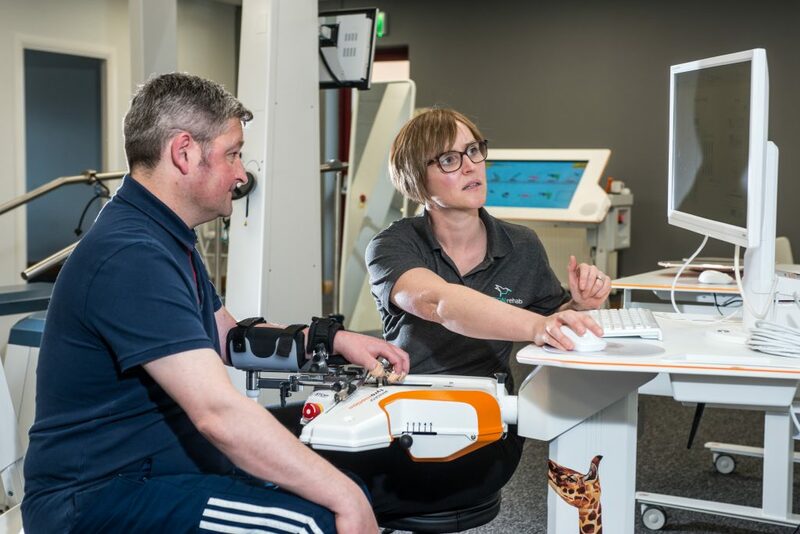 MOTIONrehab has extensive experience with rehabilitation technology to support and promote Upper Limb Rehabilitation and our range of upper limb technology is used to complement traditional hands-on physiotherapy and occupational therapy to promote and maximise the function in the arm and hand. As a student physiotherapist I spent five weeks at MOTIONrehab® in Morley, treating and following through several patients. Getting exposure to such advanced and novel therapies was a great insight into what is achievable within the area of neurological rehabilitation.